Not every divorce involves a long trial in front of a judge or shouting matches in the halls of the courthouse. Sometimes, you and your spouse agree it is time to move on without the drama. But when it comes to separating your lives and your property, emotions can arise and tempers can grow short. And that could threaten your commitment to compromise. Here are some tips to keeping your uncontested divorce amicable. In this blog post I will discuss strategies you can use to keep an uncontested divorce from turning into a high-conflict court battle. I will explain how the collaborative divorce process is designed to help former partners work together to resolve conflict and come to a resolution everyone is happy with. Surprises can kill a couple’s commitment to an uncontested divorce. 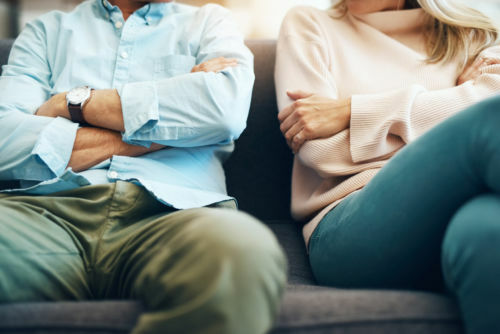 When one spouse learns about a hidden account, behavior, or even hurt feelings halfway through the divorce process, the natural emotional response is to become protective and defensive. If either spouse feels the other is not being forthcoming it can raise the stakes of the divorce and put the chances of settlement at risk. Even though there are reasons you and your spouse are separating, you both should commit to communicating openly throughout the divorce process, and after. By being transparent about your finances, your children, and your feelings, you can help the process move forward and keep your uncontested divorce amicable. Uncontested divorces with children can be especially challenging. The thought of “losing” one’s children can be one of the worst ideas a parent can face. Negotiating over parenting time schedules can feel like a zero-sum game -- the more time you let your spouse exercise, the less time you will have with your kids. After all, there are only 24 hours in the day. To keep custody issues from spinning your uncontested divorce out of control, both parents need to remember to focus on the best interests of the children. That means putting the kids’ priorities above your own (for their well-being, of course, not their day-to-day whims), and thinking objectively about what will give them the best environment to learn, grow, and mature. Remember, the best interests of the child is standard the court will apply if your case does become contested. Making it your focus too is the best way to keep conflict between co-parents to a minimum. When an uncontested divorce turns into a court battle it is often because one side or the other has set an ultimatum -- one thing that he or she must get no matter what. If the other spouse does not concede the issue, negotiations fail and the family ends up in court. Often those ultimatums are based on legitimate concerns and priorities. However, when they are worded as all-or-nothing demands, they can raise the tension in the family to the boiling point and threaten the uncontested nature of the case. Here’s an example. A wife demands from the beginning of the divorce that the parties will need to sell their home and split the proceeds. The husband doesn’t want to sell the home, and the issue begins to jeopardize all the other work the couple has done to resolve their case. The wife’s demand is based on the fact that she doesn’t believe she can afford to pay the mortgage and the utilities on the home. Her husband could afford those payments. He isn’t interested in living there anymore, but believes the family could get more value if they waited for the housing market to turn in a few years. If the wife were to set the priority of “living in a home I can afford” rather than an ultimatum like “we must sell the home”, it opens up the possibility to negotiate other solutions. For example, the husband may agree to continue to pay part of the mortgage after the divorce in exchange for a larger share of the equity in the home when it is eventually sold. Divorce is almost always an emotional event. There is a grieving process involved that many people overlook. That means anger, fear, and sadness can cloud your judgment and threaten your commitment to keep your uncontested divorce amicable. But there is help. Attorneys, therapists, and experts trained in Collaborative Divorce can help you process your feelings, prioritize your needs, and keep your negotiations on track. By bringing a holistic approach to the divorce process, collaborative law professionals can help you keep your uncontested divorce amiable, and help you learn conflict resolution strategies you can take with you into the future. Kimberly Miller is a Licensed Marriage and Family Therapist and certified collaborative law practitioner. She can use these techniques to help you and your spouse resolve your marriage with dignity and keep you out of court. If you would like to learn more about the collaborative process, please contact Kimberly.